When I went to Tama-Plaza to see my friends, they showed me around the area and shops, and one of them was a special Shoku-Pan (pain de mie, sandwich loaf) shop called "Nogami (乃が美)." The head office is in Tennoji, and the shops are mainly in Kansai area. 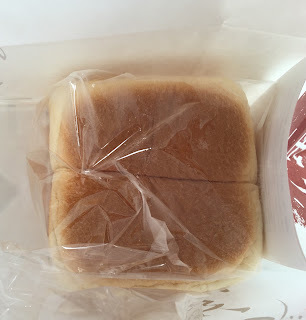 They only have 2 types of Shoku-Pan; Regular (2 loaves) or Half size (1 loaf). My friend said that their bread is so soft and moist, including the crust, and when I tried a sample, the light beige crust was really soft and light, and there's no difference between the center. 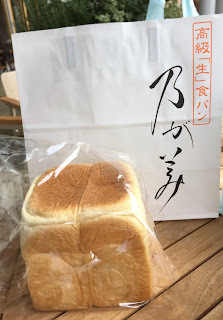 The bread was chosen one of the best 10 Shoku-Pan in Japan. I bought a half size. 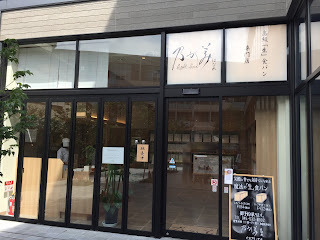 When I took a close look, it said, "高級「生」食パン (High-Grade "Nama" Shoku-Pan)." 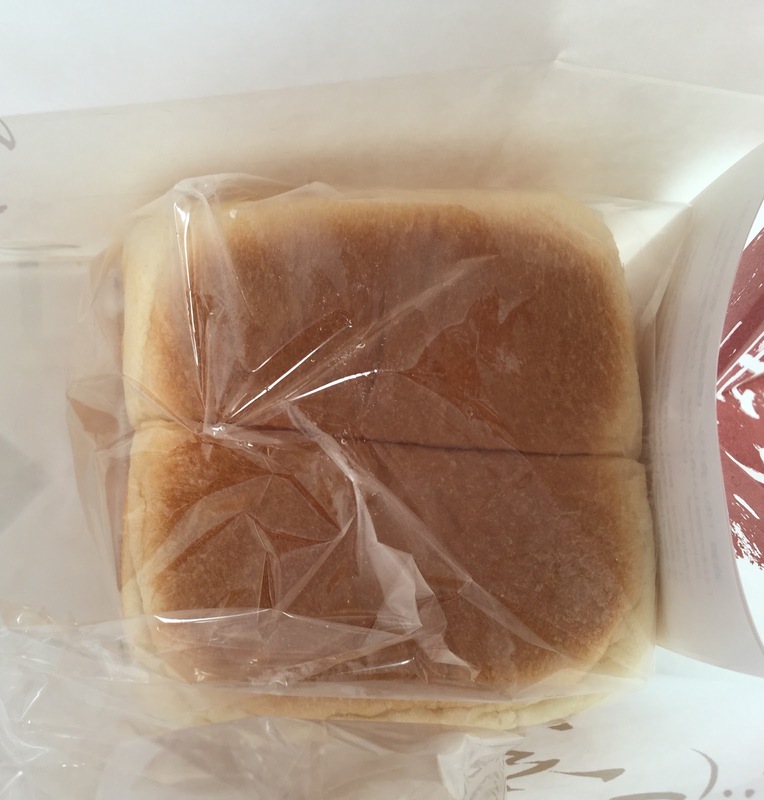 There're many similar products so that they obtained a trademark registration of "High-Grade 'Nama' Shoku-Pan (高級「生」食パン)." According to the particularity, they don't use eggs, they use the premier flour 100% from Canada and bread masters make "Nama" Shoku-Pan by hand to create tasty loaves that don't need to be toasted. 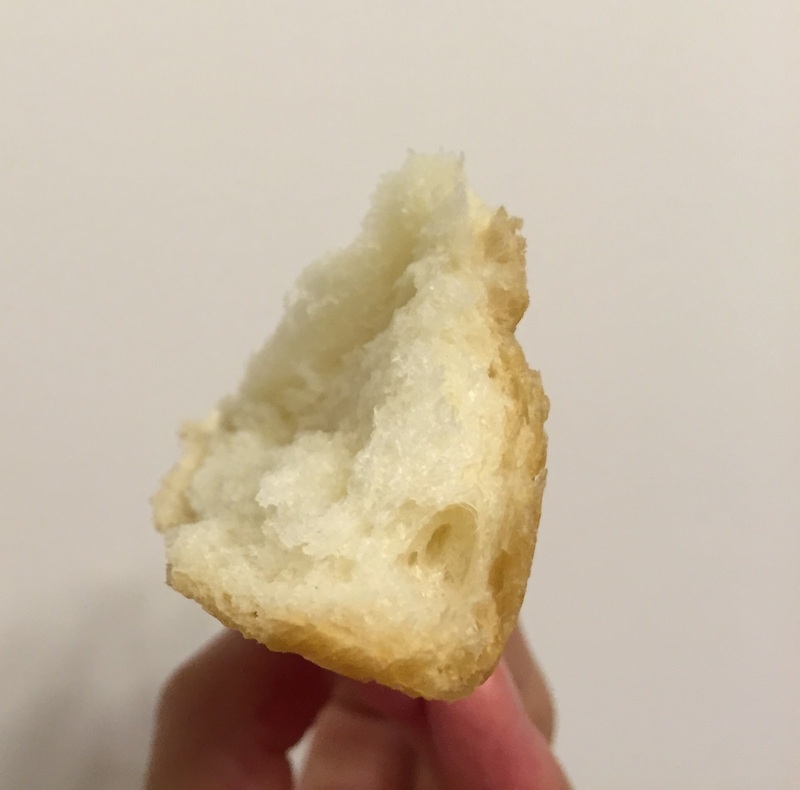 生 (Nama) in this case is raw and uncooked. The bag wasn't closed and it's because they constantly serve oven-fresh loaves. When I received it, it's still lukewarm so that I close the bag when it's cooled. 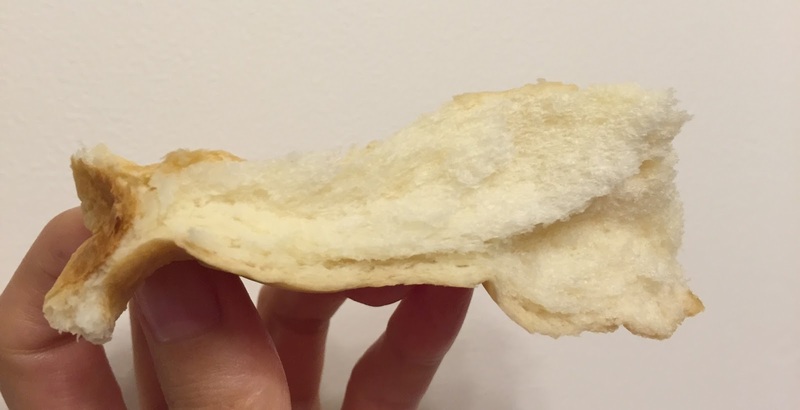 I could see how they rolled the dough as there're subtle lines on the crust. 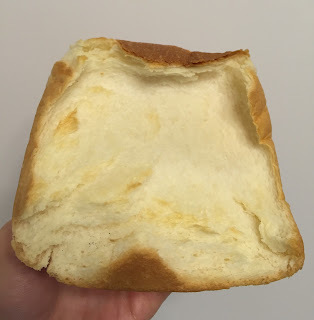 The staffs said the best way to enjoy this loaf was to tear with hands, not slice with a knife, so I tore some off, and I was surprised how easily it came off. The crust was so soft and moist that I didn't feel like I was holding the crust. While I was pulling the crust, the chewy dough was stretched as if it's mochi, sticky rice cake. 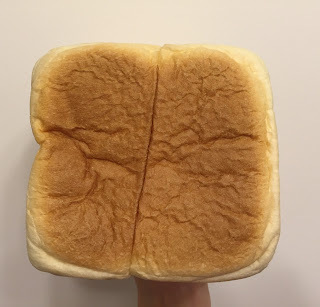 It's lightly sweet, moist, chewy, but also light, and I've never had any Shoku-Pan like this, and it's definitely one-of-a-kind loaf. They use high quality fresh cream, butter and honey, according to HP. 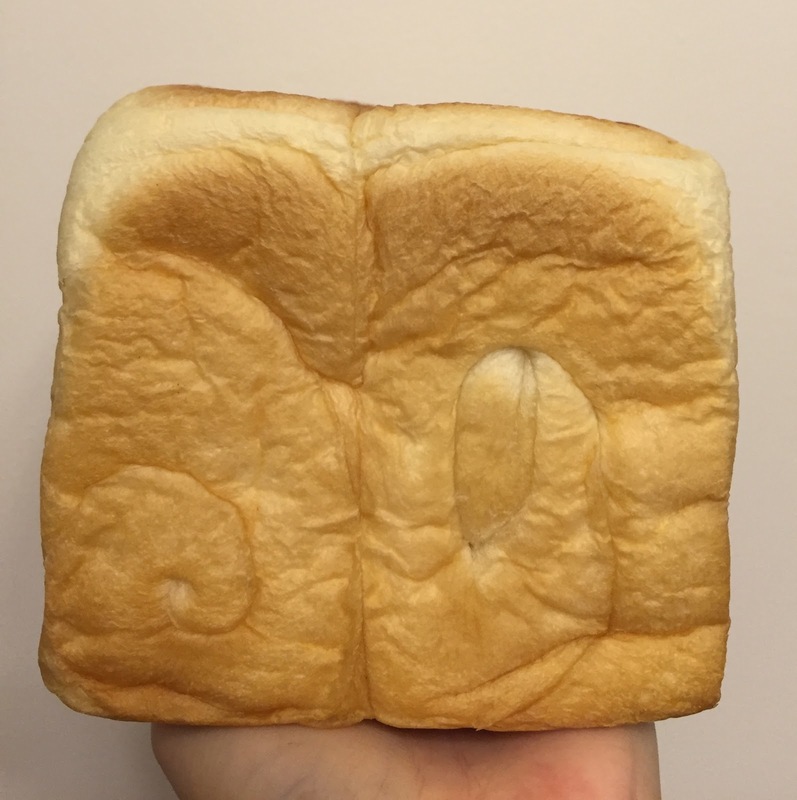 The loaf can be kept for 3 days at room temperature, and toasting the bread on the 3rd day was suggested, I toasted it till it gets lightly browned. The surface and the crust were crisp but the inside maintained the softness, chewiness and moisture as it was on the first day. It's for sure a pricy loaf, but it's worth every penny I thought.